‘Quake on Town Lake,’ benefiting Cypress Basin Hospice, will be in Mt Pleasant this weekend. 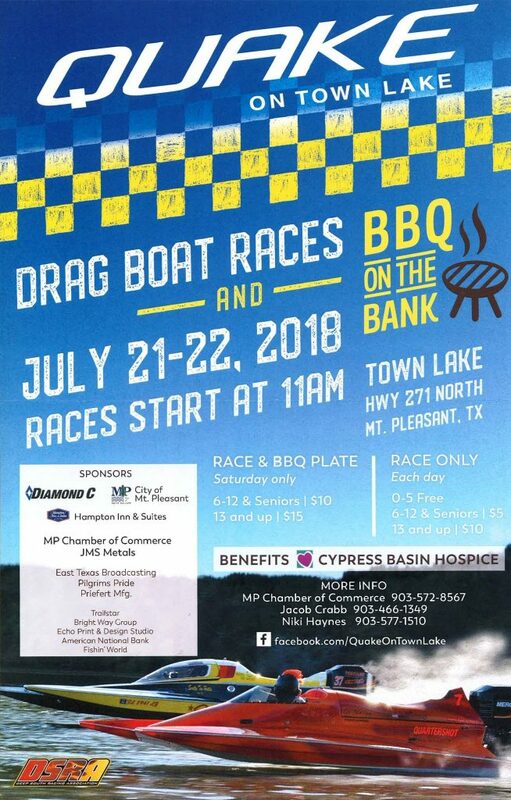 The drag boat races and BBQ begin at 11:00 am on Saturday and Sunday morning. Town Lake is located on Hwy 271 North in Mt Pleasant.